Shooting in the dark is difficult and stressful, but it is also something you may be forced to do in order to save your life. Professor Paul weighs in and discusses some of the unique challenges associated with using your gun in low light. Good guys can and do bleed. You are many more times likely to need medical gear and training than a firearm. How many of you carry a gun habitually, but have deliberately overlooked traumatic medical training or gear? During this episode, we will discuss both. StudentoftheGun.com is your 24/7 source for all manner of gun related topics. SOTG offers education and entertainment through on-demand video material, online articles, books, DVD’s and live-training events. Student of the Gun; a beginner once, a student for life. Being a Student of the Gun is not about being a novice or beginner. Student of the Gun represents a life’s journey of education, enlightenment, and the enjoyment of firearms. Each episode will introduce the viewer to new and interesting firearms as well as the latest gear to go with them. We will travel throughout the United States seeking the advice and expertise of the best firearms trainers available. Sometimes deadly serious, sometimes just for fun, Student of the Gun will always strive to educate and entertain their viewers while offering them an insiders’ look at the worlds of firearms. Paul G. Markel has worn many hats during his lifetime. He has been a U.S. Marine, Police Officer, Professional Bodyguard, and Small Arms and Tactics Instructor. Mr. Markel has been writing professionally for law enforcement and firearms periodicals for nearly twenty years with hundreds and hundreds of articles in print. Paul is a regular guest on nationally syndicated radio talk shows and subject matter expert in firearms training and use of force. Mr. Markel has been teaching safe and effective firearms handling to students young and old for decades and has worked actively with the 4-H Shooting Sports program. 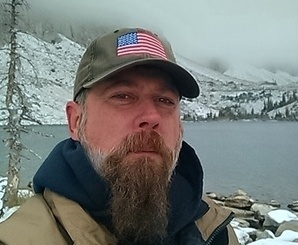 Paul holds numerous instructor certifications in multiple disciplines and a Bachelor’s degree in conflict resolution; nonetheless, he is and will remain a dedicated Student of the Gun.